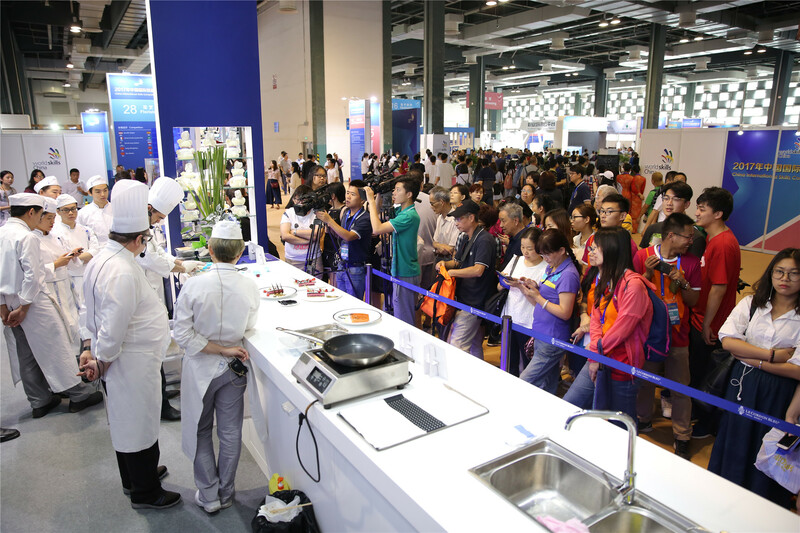 9 June, 2017 Shanghai – Le Cordon Bleu Shanghai showcased its excellence of culinary arts and high-standard of vocational education at the 2017 China International Skills Competition which was held at the Shanghai National Exhibition and Convention Center from June 5 to June 9. 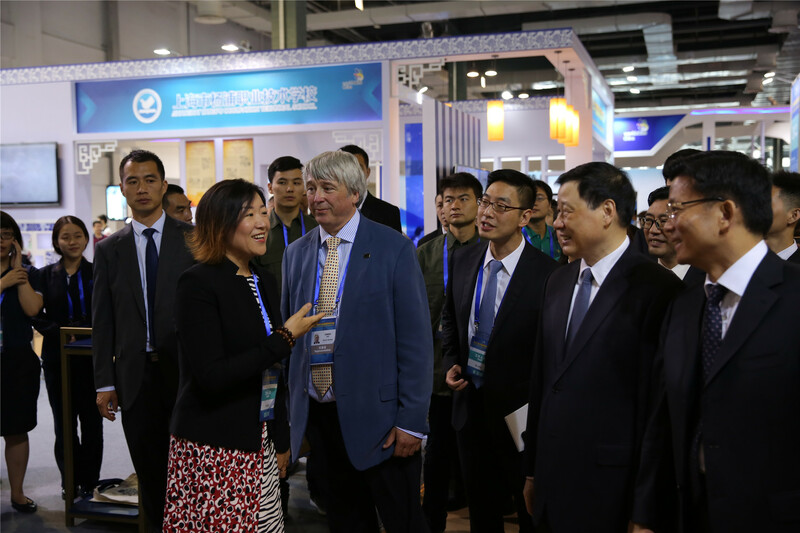 Deputy Secretary of the Shanghai Municipal Committee and Mayor Ying Yong, Chairman of the World Skill Organization, Simon Bartley, Vice Minister of Human Resources and Social Security, Tang Tao and Vice Mayor Shi Guanghui visited Le Cordon Bleu Shanghai booth. The 2017 China International Skills Competition and International Forum on Skills and Development was held at the Shanghai National Exhibition and Convention Center from June 5 to June 9. Being the largest international skills competition ever held in China, 227 players from 35 countries and regions competed in 21 events. According to the organizers statistics, the game attracted a total of 25 thousand viewers to the scene to observe. 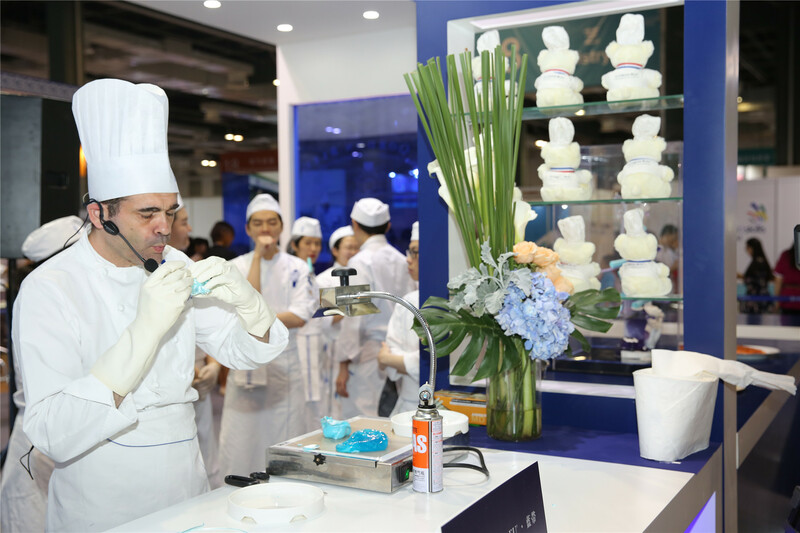 Le Cordon Bleu Shanghai, participated to demonstrate the world-standard of culinary arts of both cuisine and pastry, gained tremendous popularity and became one of the key highlights during the event. On site, Le Cordon Bleu chef Olivier Paredes and Yannick Begel demonstrated the exquisite techniques of Sugar Art and Chocolate Showpiece while Le Cordon Bleu chef Philippe Martel presented the delicacy of French cuisine. 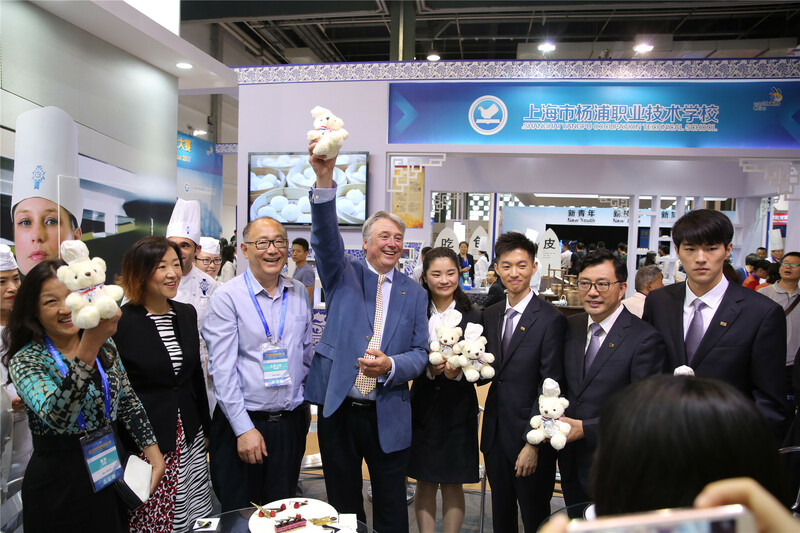 Deputy Secretary of the Shanghai Municipal Committee and Mayor Ying Yong, Chairman of the World Skill Organization, Simon Bartley, Vice Minister of Human Resources and Social Security, Tang Tao and Vice Mayor Shi Guanghui, respectively, visited Le Cordon Bleu Shanghai booth. Ms. Sara Shang, Director of Le Cordon Bleu Great China made presentation of Le Cordon Bleu International and Le Cordon Bleu Shanghai to the officials and VIPs. Simon spoke highly of the dishes prepared by the chefs and Le Cordon Bleu Shanghai students after tasting and Minister Tang praised the chocolate globe made by Chef Yannick “very exquisite”! The efficient organization and great support by Le Cordon Bleu Shanghai was also highly appreciated by the Committee of the China International Skills Competition. China joined the WorldSkills International (WSI) in October 2010 and is now bidding to hold the 46th WorldSkills Competition (WSC) in 2021 in Shanghai. If China wins the bid, the WorldSkills Competition will be held from September 23 to 26 in 2021. It expects to attract 600,000 participants from home and abroad with an expected viewership of 500 million. In view of the historic opportunity of China’s initiative of “Belt and Road”, Le Cordon Bleu Shanghai would play a more crucial role in providing vocational education of high-quality to the vast majority of students and to enhance culinary and cultural exchanges between the West and East. With more than 120 years of teaching experience, Le Cordon Bleu is the leading Global Network of Culinary Arts and Hospitality Management Institutes, training 20,000 students of more than 100 nationalities every year. Le Cordon Bleu offers a range of widely recognized training programmes in the fields of gastronomy, wine, hospitality and tourism, from initiation in culinary techniques through to MBA. Le Cordon Bleu Shanghai Culinary Arts Academy was founded in April 2015. It’s the first Le Cordon Bleu School in China.